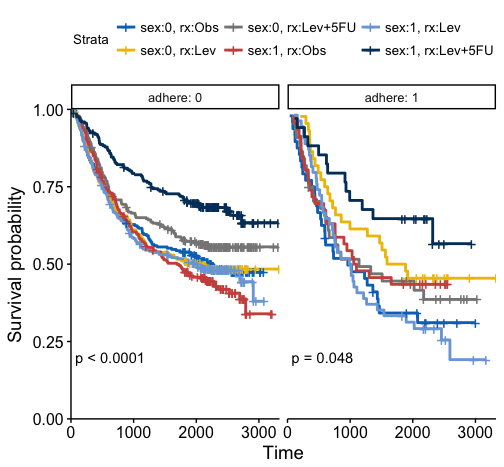 New option facet.by added now in ggsurvplot() to draw multi-panel survival curves of a data set grouped by one or two variables. Alias of the ggsurvplot_facet() function. 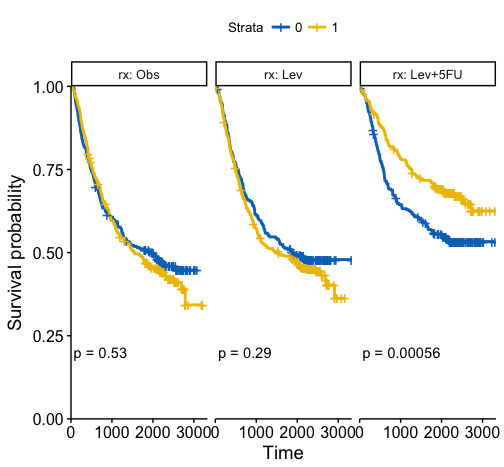 I realized ggsurvplot_facet does not plot the survival lines all the way to 100%, is there a solution for this? 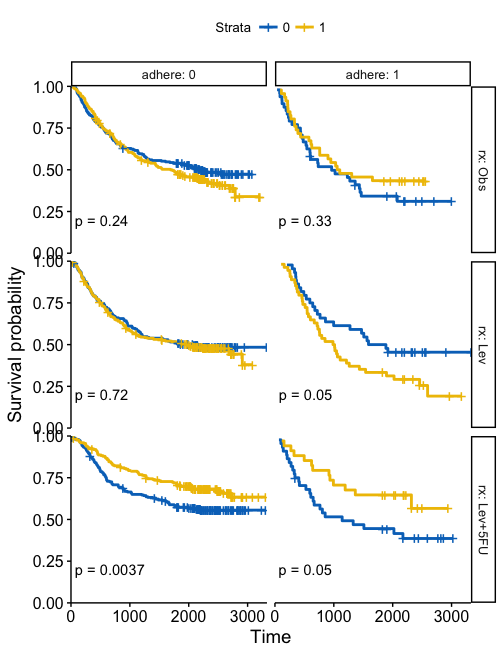 Ideally I would like to have facet panels, with corresponding p values and survival tables in the output. Any recommend method for this? Thanks a lot! Is it possible to add capability to ggsurvplot_facet() so that it accepts as input not only survfit objects, but also a list of survfit objects? ggsurvplot() accepts already survfit lists.